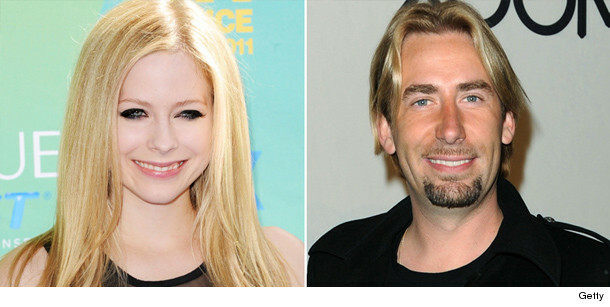 Avril Lavigne, 27, and Chad Kroeger, 37, shocked everyone when they announced they’re engaged – but stranger pairings have happened in Hollywood! As we try to wrap our heads around the surprising union of AvChad (too soon for nicknames? ), we decided to take a look back at some of Tinseltown’s most surprising, even shocking, celebrity engagements. From youngsters Miley Cyrus and Liam Hemsworth, to barely-divorced LeAnn Rimes and Eddie Cibrian, to goth rocker Marilyn Manson and Evan Rachel Wood, who's 20 years younger -- check out all of our unexpected celebrity couplings by clicking "Launch Gallery" below! Avril Lavigne: See Her 14-Carat Engagement Ring! Justin and Jen Get Engaged -- See the Many Men She’s Dated!